Parfait Ice Cream. Photo by Alison Ishii. With Seattle hitting all-time high temperatures this summer, there are more reasons than ever to pick up some ice cream. Seattle has a plethora of local shops; some with offerings a bit different than your traditional fare. Never one to pass up an ice cream trip, the recent weather was the perfect excuse for me to eat my way through the city’s best frozen treats. 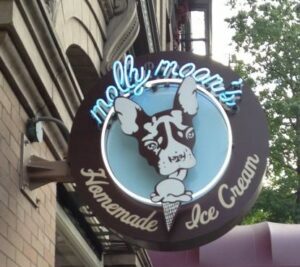 Molly Moon’s on Capitol Hill. Photo by Alison Ishii. One of my favorite places in Seattle is Molly Moon’s Homemade Ice Cream. With six shops throughout town, you’re bound to be nearby one of them. I can never resist a scoop of the earl grey and a sample of the seasonal flavors. I love their emphasis on sourcing locally and seasonally – they even have a map in the store showing where the different ingredients come from! Hello Robin. Photo by Alison Ishii. 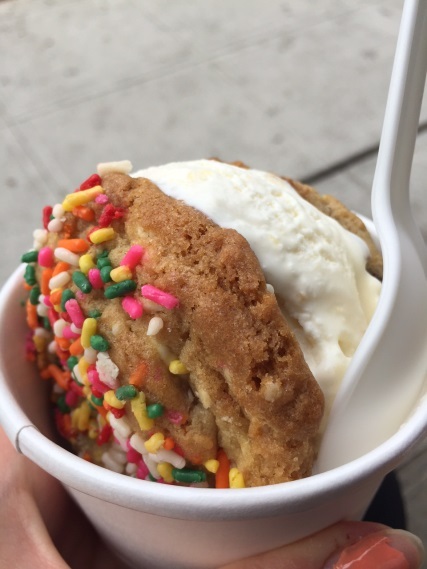 Located on Capitol Hill, Hello Robin is a bakery that has partnered with Molly Moon’s to offer ice cream sandwiches. Pick out a cookie (or two!) and an ice cream flavor to create your own personalized sandwich. On a recent visit, I paired a birthday cake cookie with ginger ice cream and I can’t wait to go back and try more! After hearing about Parfait, I ventured over to the Ballard neighborhood to check it out. They pride themselves on their organic ingredients and it did not disappoint. I tried the rosemary pine nut brittle which was the perfect combination of savory and sweet. Next, I headed down the street to Hot Cakes Molten Chocolate Cakery. In addition to serving up their signature cakes, they offer an amazing selection of milkshakes, with or without alcohol. My favorite is the ultra-thick dark chocolate shake; you can’t get any better than that! Seattle Pops. Photo by Alison Ishii. For those looking for something a little different, there are many options beyond the traditional ice cream. Marination Ma Kai in West Seattle offers a beautiful view of the skyline along with Hawaiian-style shaved ice. Top your ice with flavors ranging from mango to coconut with the option to add azuki beans or ice cream. 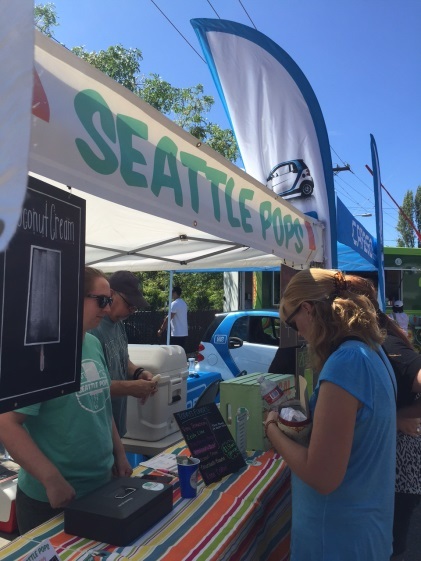 Seattle Pops is a local company making all-natural ice pops in a variety of fruity and creamy flavors. Sold throughout the Seattle area in stores and farmer’s markets, you won’t have to go far to pick one up. I recently stopped by the Fremont Sunday Market and tried a blackberry ginger pop, which was full of fresh fruit and a kick from the ginger. We still have another month of summer left and it’s sure to be a warm one. Make the most of the heat with ice cream – there’s no shortage of places to choose from in Seattle! 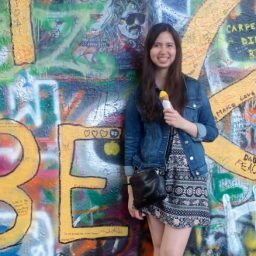 Alison Ishii is a Public Relations Intern at Visit Seattle. Having grown up in the Pacific Northwest, she recently made the move to Boston for college. She enjoys traveling, baking, exploring farmer’s markets, and eating ice cream.